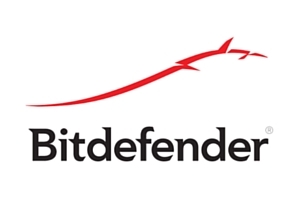 Bitdefender is a leading producer of security software serving more than 500 million users worldwide. The company is dedicated to Internet security for everyone. That dedication has won it the number one spot worldwide by renowned security software testing organizations such as AV-TEST, AV-Comparatives, Checkmark, ICSA Lab, and Virus Bulletin. After more than a decade on the frontlines in the fight against malware and other online crime, Bitdefender is an industry leader in innovation. Bitdefender strives for a clean Internet so that education, personal freedom, and the open exchange of ideas can flourish. The company envisions an online world in which children can play freely, teens can socialize and study without fears of bullying, and adults can conduct business, shop, and learn without identity theft, bank fraud, and other ills. Bitdefender works to remove boundaries and build trust throughout communities by providing access to the latest innovations and applying technology where it can serve best. Along with the commercial offer for enterprises and home users, the company develops and promotes a full range of free products for PCs, smartphones, and tablets. Bitdefender also produces a series of free utilities and security for social networking and works with schools and nonprofits to protect them from online predators.